Yesterday we made a trip to Suzhou to visit the production line for the product I am working with this week. This morning I will just share some images and later will write more about this interesting city. Before visiting the factory we first stopped for a very nice lunch. One of the items we had for lunch was a very delicious fish. The restaurant where we had lunch is at Jinji Lake in Suzhou which is very scenic. The day was very foggy, but sometimes that makes for a unique picture. There are many bridges in Suzhou. This is one that we crossed to get to the restaurant at Jinji Lake. 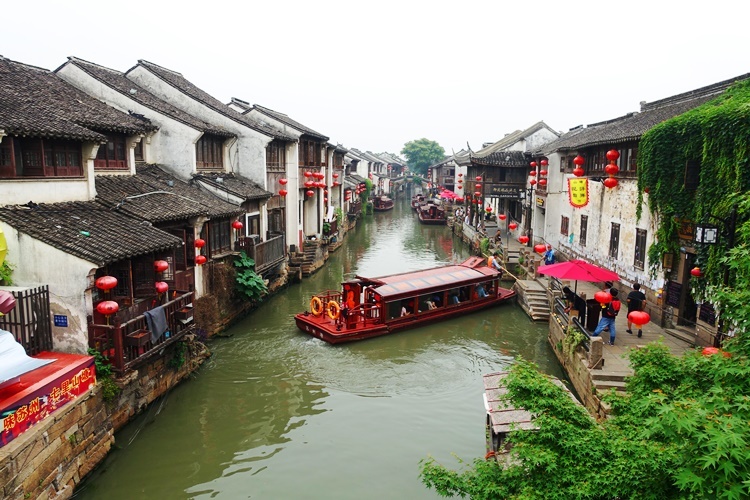 After visiting the factory we visited an old area of Suzhou that is along one of the historic canals. We had a very light dinner along the canal while watching the boats ply up and down the waterway. Suzhou is a very interesting place. I will have to visit again someday. 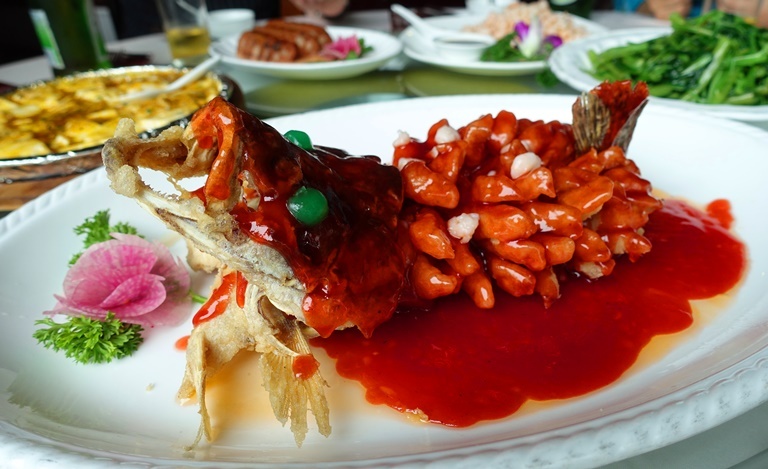 This entry was posted in China, Culture, History, Travel and tagged Bridge, Canal, Chinese Cuisine, Fish, Jinji Lake, lake, Suzhou, Whole Fish. Bookmark the permalink. 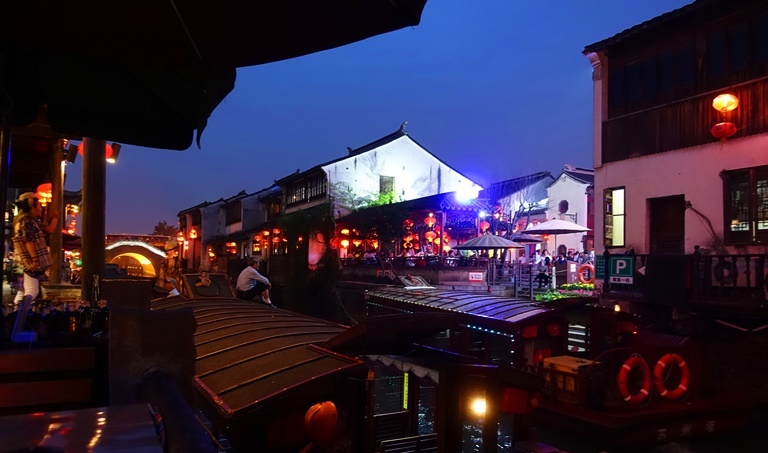 We love the picture of the historic part of Suzhou. A very beautiful photo!